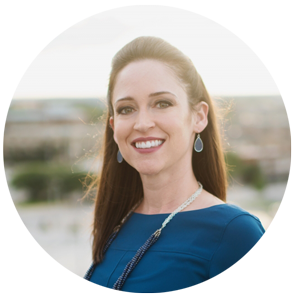 Dr. Kristen Bravo wanted to rebrand her chiropractic practice from a mobile chiropractor to a specialist women's chiropractic practice. Her old website was built on a platform that made making changes herself all but impossible, and the site wasn’t getting any organic traffic from the search engines. Dr. Bravo told us that she’d never gotten a single lead through her old site and was ready for a change. Dr. Bravo wanted to become the “go-to” chiropractor for Women in the Indianapolis Metro area and leverage the power of digital marketing to grow her business. Since the practice was going to be changing quite a bit of the current client base, we started from the ground up with a new website on the Wordpress platform. It was important for Dr. Bravo to be able to make changes herself as her business grew and added staff. The Wordpress platform was a perfect fit for her business and made it so that she can access and edit any page on the site. Next we worked with Dr. Bravo to create a conversion point that would encourage website visitors to exchange their contact information for a digital download. Dr. Bravo wrote a guide called “5 Easy Steps to Relieve Back Pain” and we offered it as a free download on the site. With almost every single site visitor in the future coming to the site with some type of back pain, this was the perfect topic for a point of conversion. Dr. Bravo also had the challenge of changing her business name and website URL, which meant that if not handled correctly she could lose any progress that her business had already gained with Google. We helped use redirects from her old website URL’s to her new domain to preserve any link juice from her former website. Next we helped Bravo Women's Chiropractic select valuable terms that would enable the practice to rank in the search engines. We identified the keywords that were driving conversions in the Indianapolis area and started creating internal pages, blog posts and other content that would get picked up by the search engines. The organic free traffic from Google took awhile to get flowing because her old website had almost zero relationship with Google. By continuing to work hard on content marketing, we look forward to seeing Dr. Bravo’s practice climb the rankings on Google and continually increase her standings with the search engines.